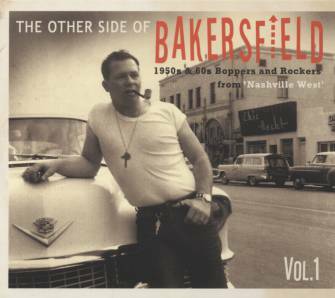 Bear Family Records has released a two-volume set chronicling the Bakersfield Sound. The Other Side of Bakersfield: 1950s and ’60s Boppers and Rockers from “Nashville West” includes tracks from pioneers Buck Owens, Merle Haggard, Ferlin Husky, Red Simpson, Tommy Collins, Bill Woods, Billy Mize, Fuzzy Owen, Herb Henson, Tommy Duncan, Johnny Bond, Custer Bottoms and Vancie Flowers. The detailed liner notes written and compiled by Nashville native Scott B. Bomar (son of Green Hills Music Group’s Woody Bomar) includes track-by-track commentary, artist biographies, and rare photos. The definitive collection from the German reissue label also offers music from independent Bakersfield labels, such as Tally, Fire, Grande, Bakersfield Records, Global, Pike and Mosrite. Many of the tracks are being released on CD for the first time.